This is the most efficient wood stove on the planet it will make gasoline run a generator and a propane fridge, heat hot water and your home at the same time. this system works on any dry organic material. In a post-apocalyptic event this is a gold mine. There are multiple ways that a gasifier can be built and function each one produces different amounts of different elements. The gasifier in the truck gasifier build video is a thermal cracking unit that reaches a high enough temp over 2000 deg. to crack the molecular bonds in the gases that pass through the reaction zone. So it separates things like water molecules into HHO gas, and CO2 into one part CO and a free O, the free O binds with a carbon atom in he burn zone becoming another CO.The O separated from the H2O binds with a carbon atom in the burn zone becoming CO, so the main composition of the gas produced is two parts hydrogen 3 parts carbon monoxide. Now when the gas is burned in the engine the 2 hydrogen’s bind with an oxygen molecule and becomes H2O and the CO also binds with an oxygen and becomes CO2 both of which can be re-fed into the reaction chamber and turned back into gas creating a almost closed loop system only requiring air to be supplied. Let’s follow a single 2H3CO chain in a closed loop reactor and see what it becomes. First it is burned in the engine becoming 1 – H2O molecule and 3 – CO2 molecules, we re-feed it into the reactor as engine exhaust, now the H2O becomes 2 parts hydrogen and 1 part carbon monoxide, and the 3-CO2 molecules becomes 6 parts CO. So we have 2-hydrogen’s and 7-carbon monoxides. Run that once more and a pattern becomes apparent..The 2H7CO gas is now burned in the engine and exhausted into the reaction chamber as H2O and 7 parts CO2, once again its forced through the burn zone and the water becomes 2HCO and the 7-CO2’s become 14 part’s CO. So on its third pass through the reactor our starting chain wen’t from 2H3CO to 2H15CO. At a point the excess carbon monoxide can take over as the reaction chamber fuel source ending the need for more wood to be supplied to continue the process.Now none of this incorporates the fact that the fresh air drawn into the burn chamber and in the engine contains extra CO2 and CO as well as random hydrogen atoms, from the moisture bearing air which will provide a runaway hydrogen effect in the system as well, in fact the the more humid of a climate you live in the faster the hydrogen runaway starts. (Now when this is done right as a closed loop system), so when the system has built up enough carbon to continue supplying both thermal energy and free carbon atoms there becomes an excess of one gas in particular and that is oxygen, this over abundance of oxygen can either be expelled from the system as the waste gas or compressed and used as the oxygen supply to both the reactors burn zone and as the oxygen needed in the combustion zone of the engine. So this means that once the system is at full temp and the internal working gasses are up to sufficient levels, it will clean the carbon based molecule’s from the air use them as fuel and expel oxygen as its exhaust gas. The bad air in a city could be used as energy and in return we would clean the air, by using thermo-molecular reforming and thermo-molecular fracturing we can re-capture and re-use a substantial portion of the waste created from the last 50 years of carbon emissions. Don’t miss this video: Do You Make These Fatal Mistakes In A Crisis? Right know the closed loop system produces an over abundance of both nitrogen and oxygen atoms, we are attempting to combine the two, to form NO2 which can be fed directly into the reactors burn zone increasing the temperature to around 3000deg. 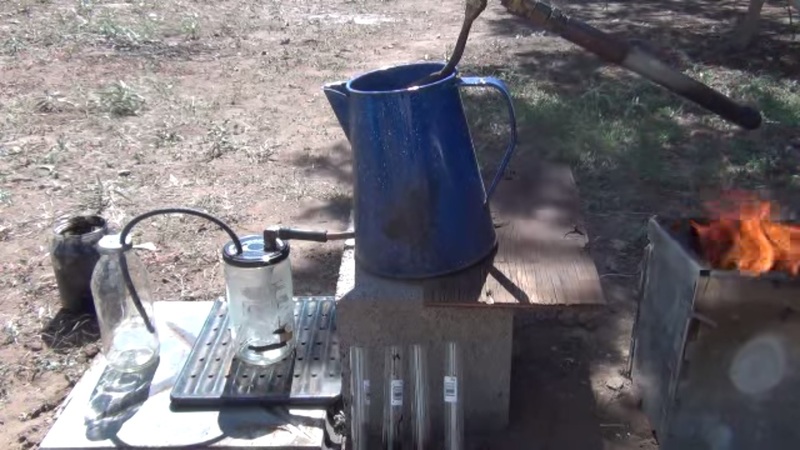 This allows the gasifier to burn metals as well as organic compounds,( metals can be gasified) in short allowing you to throw pop cans and tin cans, glass, batteries, and just about every other standard house hold trash item into fuel for use at home or in a vehicle. This can also be achieved with a plasma gasifier, basically a bunch of plasma cutter tip’s all aiming into a central position as the reactor burn zone and arcing at the same time. 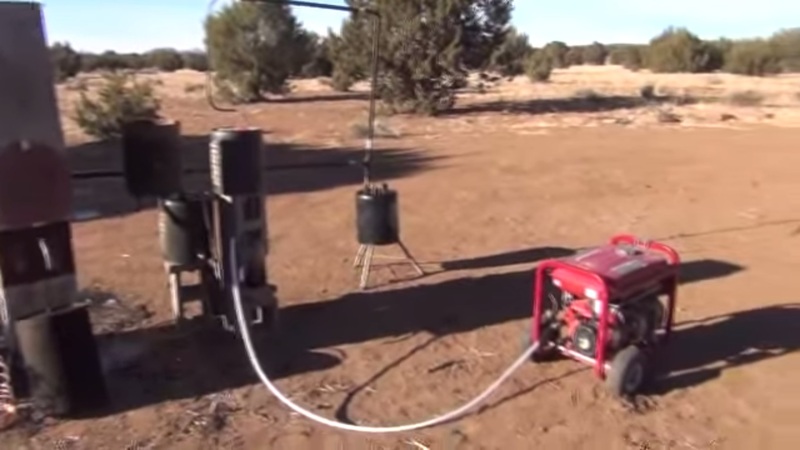 Check this other project of a similar system that can produce gas, heat and electricity. For more information and a complete set of blueprints with videos ( everyone should be able to follow them) about how to set up and use this green renewable energy, visit the official site of Liberty Generator. It is something you should definitely consider! So, we finally perfected a perpetual motion machine, repealed all three laws of thermodynamics, and can change chemical bonds by shazam.